I always say that online transactions are super convenient compared to traveling and lining up in payment centers to pay your bills. 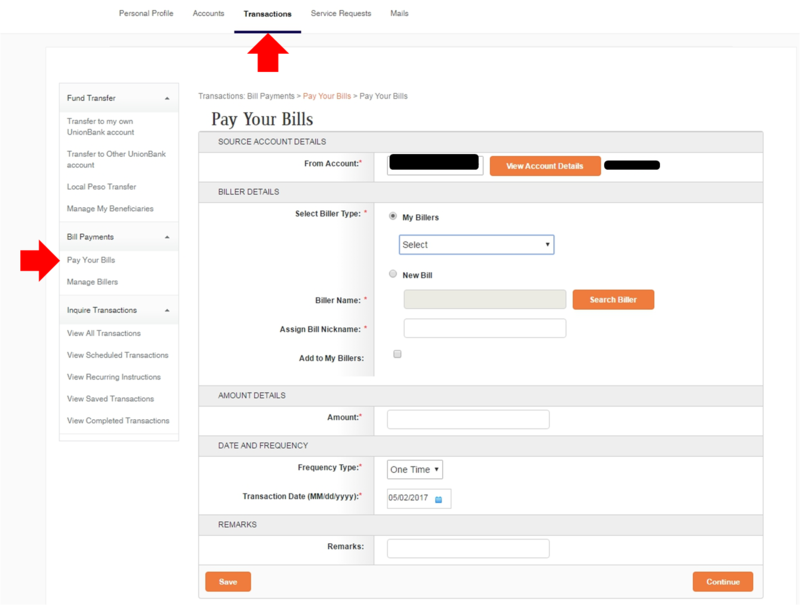 Now, this article will show the steps of using Union Bank online banking to pay your bills. So if you haven't done so, please enroll your account to Union Bank Philippines online banking facility. 1. After logging-in to the Union Bank eBanking facility, go to the Transactions in the top menu links. At the side, click Manage Billers under Bills Payment section and it will show a window similar to the one below. 2. In the Option section, select Add New Biller and it will give you a list of bills you can pay. Look for SMART/SUN. TIP:Use the keyword "sun" in the search field to find it. Click Register. 3. Input the Account Number and the Phone Number of the bill you wanted to pay. You will also need to nominate a nickname for the bill. - The account number is found in the billing statement. - input the 10-digit Cellphone number. Enter your Transaction Password and click Submit. 4. 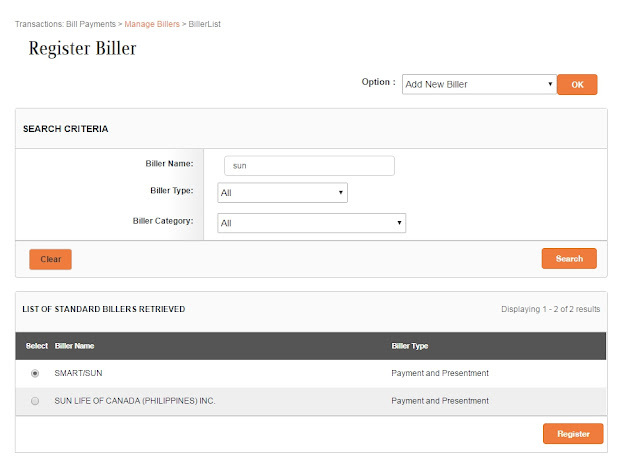 Verify that the SMART/SUN Biller has been added successfully by going back to the Manage Billers under the Bill Payments section at the side menu. 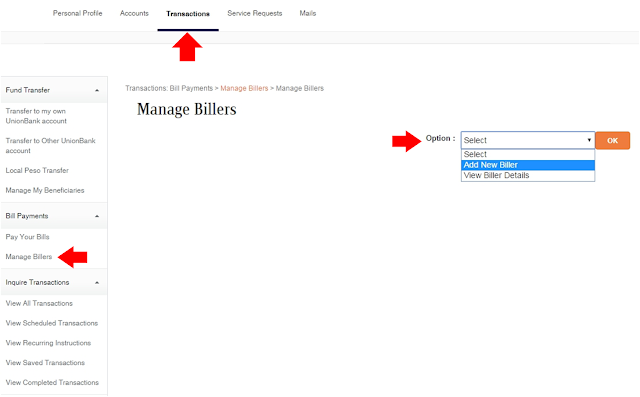 In the Option section of the window, select View Biller Details and it will display all the active billers. 5. 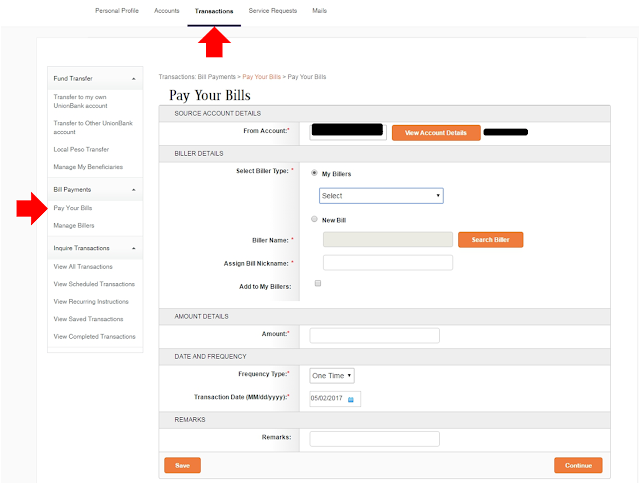 To pay the bill, click the Transactions link in the top menu list and then click Pay Your Bills under the Bill Payments section at the side menu. 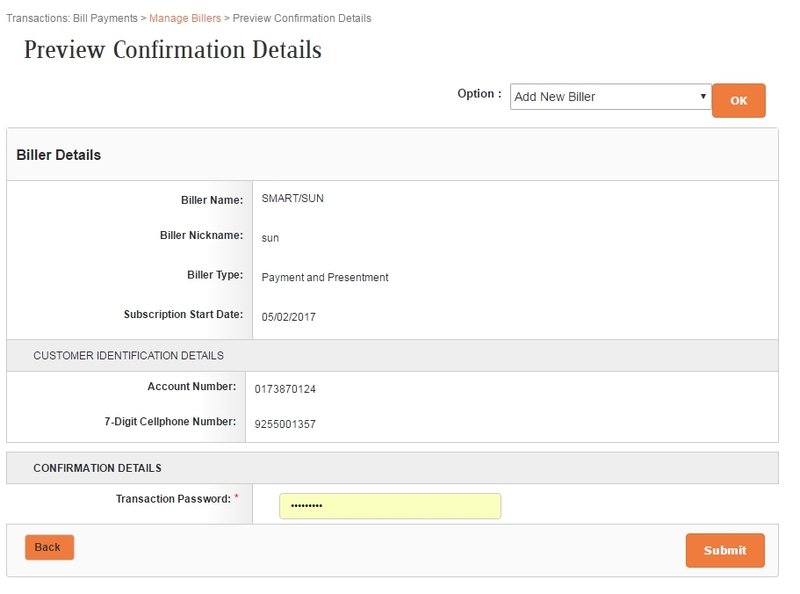 In the drop down, select the bill's nickname, fill up all the required fields then click Continue. It will prompt you to input your transaction password and the click Submit. It will generate a receipt and will email you a copy of it.